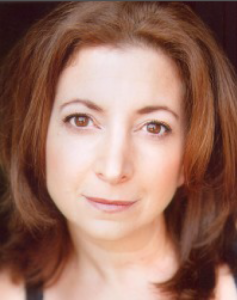 Gail Shapiro is a transplant from Los Angeles and New York, although an original Chicagoan. Gail has performed leading roles at Steppenwolf Theatre, South Coast Repertory, San Jose Repertory and was an original resident artist at A Noise Within, California’s Classical Resident Theatre Company for eleven years. Television credits include Coach, Ellen and The Guiding Light. Currently, Gail is a full time Senior Lecturer in acting at Northwestern University. She is a graduate of the University of Illinois, Champaign-Urbana, where she earned her B.F.A. in Acting and the Yale School of Drama where she received her M.F.A. in Acting. She was presented with the Natalie Schafer Award for “emerging comic actor” from the Los Angeles Drama Critics Circle and received numerous Dramalogue and Garland awards.